Home >> Generated from JAN's SOAR Information System on 4/26/2019 3:40:49 AM. 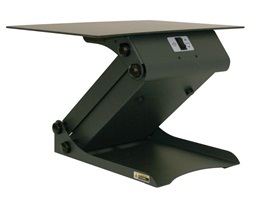 Surface TaskMate™ makes it easy to enjoy the benefits of a healthy sit-stand work style. Simply place it on your existing work surface and plug-in. At the push of a button it quickly raises and lowers your work surface. Easy to clean strong steel frame, multiple positions for multi-user situations, electric actuator to lift up to 70 lbs. Nonslip pads and mounting system secure TaskMate to the work surface. 70-lb. capacity.